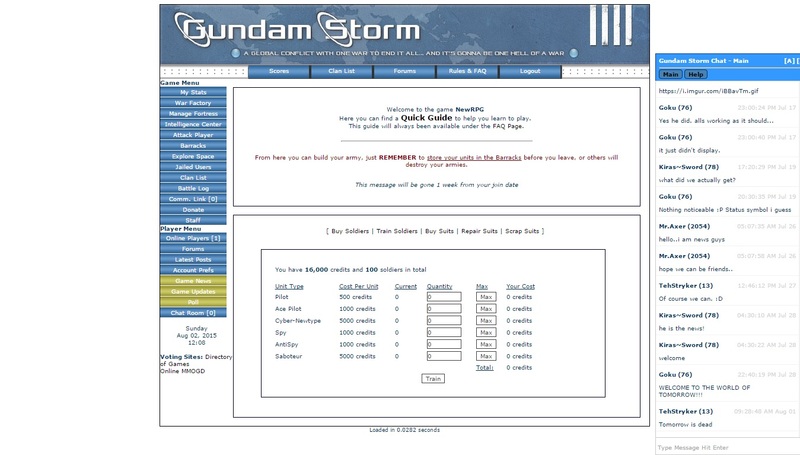 Gundam Storm is a text-based browser game about great wars. While Signing Up you must choose a faction that gives you the certain amount of bonus. War factory is a place where you can purchase soldiers and train them. Attack other players and use searching tool to find specific players. Barracks is a place to store soldiers, equipment and weapons but keep in mind that it has a daily fee. Join a clan, increase your experience and manage your stats. You can also explore space by using fuel.